Rack paintings are meant to represent you as a person, but in art form. 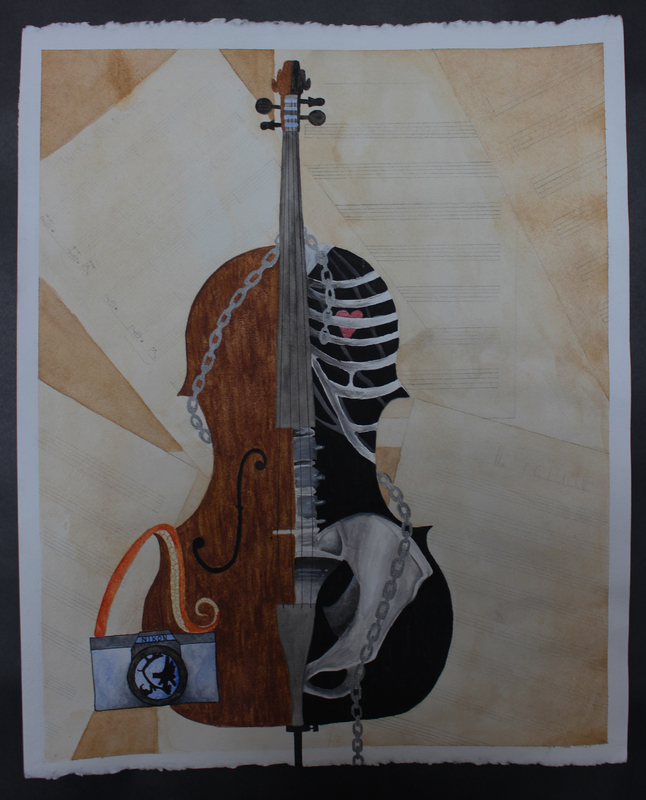 I chose the cello, because it represents my body and it is by far my favorite instrument that I have played, but also because underneath everything that is on the outside we are all the same. The chain is wrapped around the cello, because I am a very stable person and I am comfortable and love myself for who I am. The octopus tentacle and camera represent things that I really love, along with the sheets of music in the background.